Now, we untangle how to return to the Moon. With today’s Senate confirmation of Rep. Jim Bridenstine (R-Oklahoma), NASA welcomes a leader who brings with him a well-honed strategic vision and the backing of Vice President Pence and the National Space Council, giving him the ability and tools to effectively lead the agency. The space community is an expansive body of interested parties, one comprised of thousands of government employees in NASA centers around the country, a multitude of businesses with—or hoping to have—a commercial interest in a robust, expansive national space program, as well as academia, the nation’s classrooms and our international partners. All these groups feel pride and accomplishment in NASA’s journey, and they yearn for more. The Senate’s confirmation of NASA’s 12th Administrator, though it’s been controversial and long delayed, holds much promise and should be welcomed. 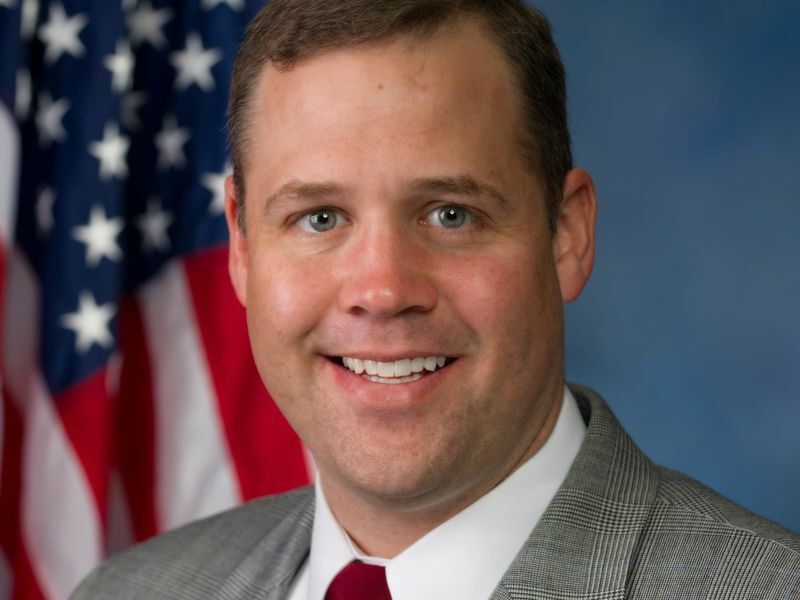 Jim Bridenstine’s military service as a Navy pilot places him in good company with an agency that has seen many Navy pilots pass through NASA’s astronaut ranks. Serving both on the House Armed Service Committee and on the Science Space and Technology Committee, Rep. Bridenstine is a reliable advocate for a strong U.S. space program encompassing economic, scientific and national security concerns. His business degrees, along with his three terms in the U.S. House of Representatives, will serve him well in his new role as NASA Administrator. They will help him navigate the fiscal, political and international considerations of a large government agency and synergize national and commercial space interests and strengths, in light of the Administration’s call for the nation’s return to the Moon to tap and use its resources. Bridenstine’s authorship and introduction of the American Space Renaissance Act shows the depth of his space knowledge and his breadth of strategic vision. A good place to start our lunar return would be to devise a coherent, logical path toward acquiring the strategic knowledge needed to find and harvest lunar polar ice. The Lunar Exploration Analysis Group (LEAG) has extensively considered the scientific and operational requirements of lunar return, and has presented studies that clearly explain the specific knowledge needed, how to obtain it, and how to use that data to support a lunar return. The “long pole of the tent” in executing a lunar return is deciding where to put the outpost so that we will have access to near-continuous sunlight (for power) and be proximate to high-grade ice deposits (to manufacture water and propellant). Several candidate sites exist at both poles, and a prudent approach would be to at least characterize all the most promising ones. This need not be a major expense, as small inexpensive missions can be sent early to roughly characterize the ice. These can be followed up by more detailed and extended examination using small robotic rovers delivered to the poles. It is important to begin by focusing solely on those operational knowledge requirements needed to support future activities—there will be plenty of science (and necessary engineering lessons) to be extracted from that data. Another important step that has not been seriously examined since NASA’s Constellation project is the need to define the requirements for a human lunar lander. The Altair studies were designed around a program and a set of mission requirements that are no longer relevant. The new focus should be on space-based flight assets—assets designed for reuse in space and on the Moon. Both United Launch Alliance and Blue Origin have designs for spacecraft that fit these needs. The considerable existing work by industry can be used to an advantage here, thus saving NASA many work-years of time and billions of dollars in development costs. From these studies, we should get a good picture, not only of what new missions and activities are needed, but also of how existing plans for Orion and SLS can be integrated into the new lunar return architecture. Having the ability to build on what’s already been done will greatly increase the chances for success through a new cost-effective, cumulative and sustainable program. With Administrator Bridenstine’s Senate confirmation and his directive from the administration for NASA and industry to capitalize on a U.S. return to the Moon, we now have a green light to create a new spacefaring capability, one that will secure a sustainable, long-term foothold in space. The danger of “backsliding” to the existing program of record—what happened to both the Space Exploration Initiative (1991) and to the Vision for Space Exploration (2004)—can be held to a minimum if NASA leadership and the National Space Council work with the agency to realize these important, strategic goals. Congratulations to Administrator Bridenstine on his confirmation. The space community should welcome this new era—the inspiration and potential it holds for the nation and for the agency as America leads the world back to the Moon and beyond.